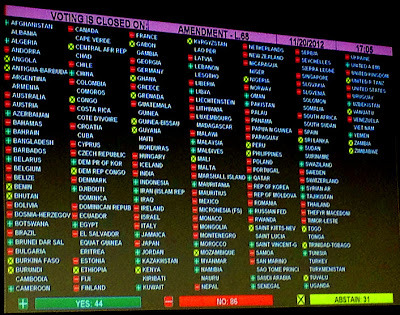 An international coalition of organizations dedicated to human rights celebrated yesterday’s historic vote in the Third Committee of the United Nations General Assembly (UNGA) to pass resolution condemning extrajudicial, summary or arbitrary executions. The vote reversed the events of 2010 when the same body voted to strip the resolution of reference to "sexual orientation." The UNGA also expanded upon its commitment to the universality of human rights by including "gender identity" for the first time in the resolution’s history. The resolution, which is introduced biennially in the Third Committee, urges States to protect the right to life of all people, including by calling upon States to investigate killings based on discriminatory grounds. It was introduced by the Government of Sweden and co-sponsored by 34 states from around the world. IGLHRC notes that the United Arab Emirates attempted to strip "sexual orientation" from the resolution on behalf of the Organization of Islamic Cooperation, just as they did two years ago. 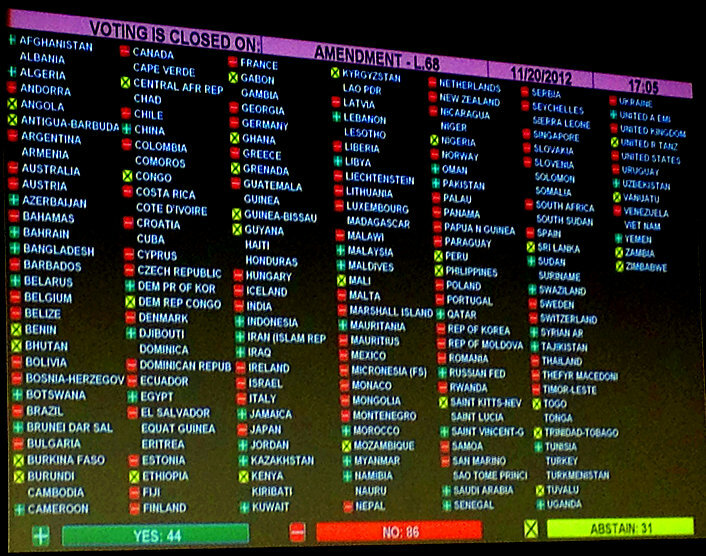 (See the photo above for the vote tally on that amendment.) They add: "Another failed effort, led by the Holy See, would have stripped all specific references to groups at high risk for execution; however it was never formally introduced." The governments of the United States, Brazil, and many others spoke in favor of the resolution. IGLHRC reports that Egypt "spoke frequently" in opposition. Japan broke its long silence on the issue with this declaration: "We cannot tolerate any killings of persons because of their sexual orientation or gender identity. Our delegation voted against the proposed amendment to this paragraph because we think it is meaningful to mention such killings from the perspective of protecting the rights of LGBT people."